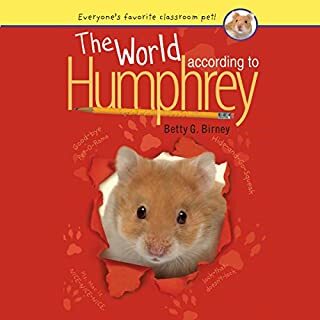 A classroom hamster has to be ready for anything, but suddenly there are LOTS-LOTS-LOTS of big surprises in Humphrey's world. Some are exciting, like a new hamster ball. But some are scary, like a run-in with a cat and a new janitor who might be from another planet. But even with all that's going on, Humphrey finds time to help his classmates with their problems. 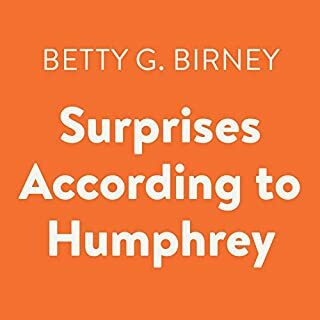 But will Mrs. Brisbane's unsqueakable surprise be too much for Humphrey to handle? Humphrey has always investigated things, like why Speak-Up-Sayeh was so quiet and Tall-Paul and Small-Paul didn't get along, but this is a true mystery - Mrs. Brisbane is missing! She just didn't show up in Room 26 one morning and no one told Humphrey why. The class has a substitute teacher, called Mr. E., but he's no Mrs. Brisbane. 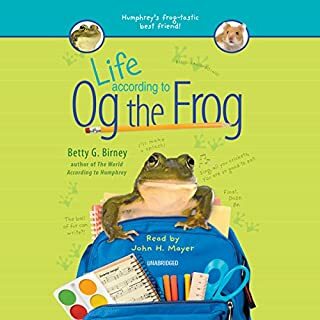 When Og the Frog first comes to Room 26, he doesn't know what to think. He misses his friends from the pond, there are all kinds of strange noises, and the water is his tank just might be too clean (you know, a little muck never hurt anyone). But the furry, squeaky fellow living next to him is endlessly entertaining, the kids sure are friendly, and - BING, BANG, BOING! - they put big fat crickets right into his tank. All of this gives Og lots of ideas for one of his favorite pastime - making up poems and songs. But he gets stumped when talk turns to sending him back to the pond. I can’t explain how good it was! After the holidays, Humphrey is shocked by a big surprise in Room 26-a new class pet! Humphrey tries to be welcoming, but Og the frog doesn't respond to any of his friendly squeaks or visits (remember, he has a lock-that-doesn't-lock). Plus, the students are so interested in Og, they almost stop paying attention to Humphrey altogether. Humphrey doesn't like the mad-bad-sad feelings he's had since Og came, but luckily he still gets to have adventures with different kids on the weekends. 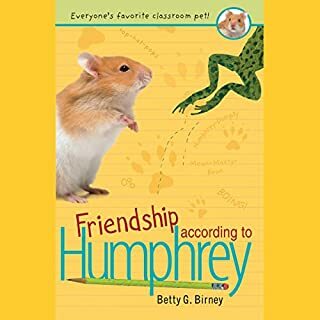 Friendship can be tricky, but Humphrey is an intrepid problem-solver. You can learn a lot about life by observing another species. That's what Humphrey was told when he was first brought to Room 26. And boy, is it true! In addition to having FUN-FUN-FUN in class, each weekend this amazing hamster gets to sleep over with a different student, like Lower-Your-Voice-A.J. and Speak-Up-Sayeh. Soon Humphrey learns to read, write, and even shoot rubber bands (only in self-defense, of course). With lots of friends to help, adventures to enjoy, and a cage with a lock-that-doesn't- lock, Humphrey's life is almost perfect. If only the teacher wasn't out to get him! Humphrey loves to solve problems for his classmates in Room 26, but he never meant to create one! Golden-Miranda, one of his favorite students, gets blamed when Humphrey is caught outside of his cage while she's in charge. Since no one knows about his lock-that-doesn’t-lock, he can't exactly squeak up to defend her. 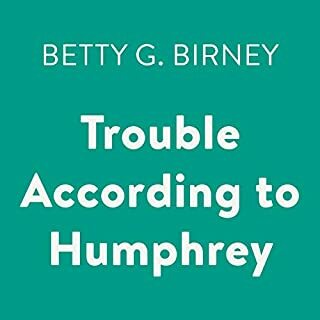 Humphrey really has his paws full when Don’t-Complain-Mandy-Payne and her family stir up more big trouble. Nory Horace is nine years old. She's resourceful, she's brave, she likes peanut butter cookies. Also, she's able to transform into many different animals. Unfortunately, Nory's shape-shifting talent is a bit wonky. And when she flunks out of her own father's magic academy, Nory's forced to enter public school, where she meets a group of kids whose magic is, well, different. Before they were the Boxcar Children, Henry, Jessie, Violet, and Benny Alden lived with their parents on Fair Meadow Farm. Although times are hard, the Aldens are happy - “the best family of all,” Mama likes to say. One day, a blizzard hits the countryside, and a traveling family needs shelter. The Aldens take them in, and the strangers soon become friends. But things never stay the same at the farm, and the spring and summer bring events that will forever change their lives. Ben Franklin was the scientist who, with the help of a kite, discovered that lightning is electricity. He was also a statesman, an inventor, a printer, and an author - a man of such amazingly varied talents that some people claimed he had magical powers! Full of all the details kids will want to know, the true story of Benjamin Franklin is by turns sad and funny but always honest and awe inspiring. At first, it seems that Peter Hatcher's summer vacation is going to be a scene from his worst nightmare. Peter's parents have decided to spend three weeks in Maine sharing a house with Cootie Queen Sheila Tubman and the rest of her family. Worse, Peter's younger brother, Fudge, the five-year-old human dynamo, has decided to marry Sheila! But things begin to look up once Peter discovers that Maine is full of surprises, and his best friend Jimmy Fargo joins him at the shore to share in the fun! Ever since the monster apocalypse hit town, average 13-year-old Jack Sullivan has been living in his tree house, which he's armed to the teeth with catapults and a moat, not to mention video games and an endless supply of Oreos and Mountain Dew scavenged from abandoned stores. But Jack alone is no match for the hordes of zombies and winged wretches and vine thingies, and especially not for the eerily intelligent monster known only as Blarg. Humphrey is excited to get back to Room 26 and see all his old classmates. But on the first day of school, a bunch of strange kids arrive and no matter how loudly he squeaks up, they don't realize they're in the wrong room! 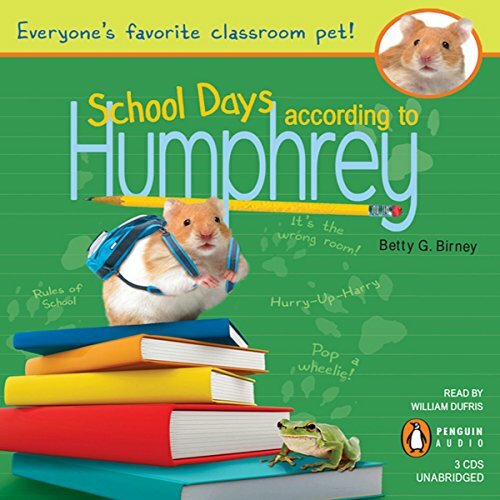 Once Humphrey gets over the shock of being with a whole new group of students, he gets busy learning all about them and their problems. There's Rolling-Rosie, who can pop wheelies with her wheelchair, Tall-Paul and Small- Paul, who don't like to hear about their height, Hurry-Up-Harry, who loses track of time, and more. He hasn't forgotten about his friends from last year, and of course they miss him a ton. 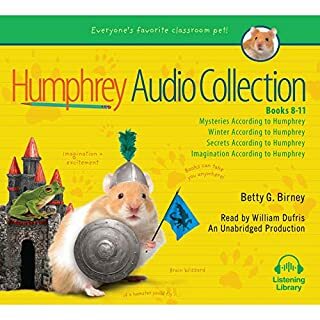 But when they start talking about taking him from Mrs. Brisbane's room, Humphrey gets unsqueakably nervous. How could he say good-bye to Mrs. Brisbane and Og for good? Nominated for 21 state awards and the winner of seven, the Humphrey series is a hit across the country. Hi hi hi hi because me me me me me m e.